After Friday's rout — Zee and Dish TV crashing 26.43 per cent and nearly 33 per cent on the bourses, respectively — the stock recovered some ground on Monday, rallying nearly 17 per cent and 6 per cent, respectively, on BSE. Zee closed trade at Rs 372.50, touching an intra-day high of Rs 380.8. Dish TV stood at Rs 23.85 at the end of the day after hitting an intra-day high of Rs 24.85. 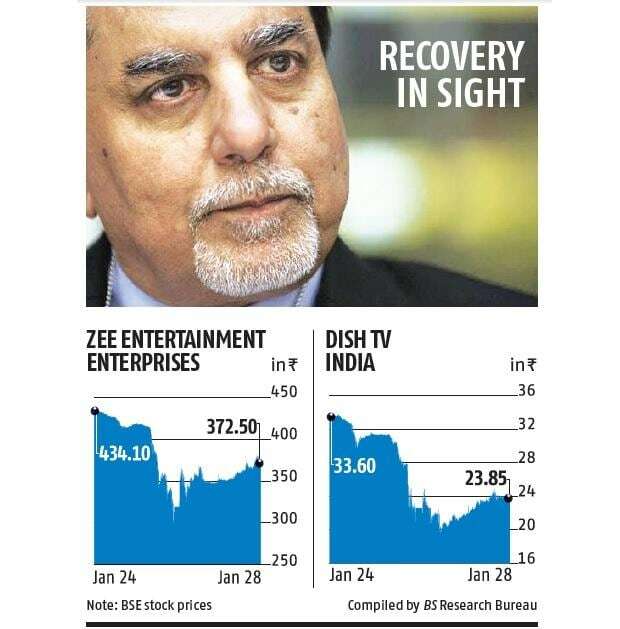 On Friday, Zee’s closing price was Rs 319.35, while Dish TV's was Rs 22.6 after a report in The Wire claimed there was a link between the group and a company (Nityank Infrapower) that was being investigated by the Serious Fraud Investigation Office. This was for deposits of over Rs 3,000 crore made in November-December 2016, immediately after demonetisation was announced. The Essel group has denied links with Nityank. A dialogue with investors had begun on Friday itself, but on Monday, the Zee management, during an analysts’ call, said that there was no default in repayment of loans by the group and that there were no pledged shares at the international level. This helped its stock on Monday. The Essel group has been grappling with high debt, thanks to loans taken against shares in Zee and Dish TV. These loans were taken by the Indian promoters — Subhash Chandra and family — for privately-owned infrastructure firms. So far, 24.71 per cent of the equity of Zee has been pledged to lenders by the promoters, amounting to 59.37 of the latter’s stake in the company. In the case of Dish TV, it is nearly 56 per cent of the total equity that has been pledged, amounting to 82 per cent of promoter stake in the firm, data for the period ended December 31, 2018, shows. On Monday, Zee Managing Director and Chief Executive Punit Goenka said that no further pledges had been given to lenders and that Friday's crash had triggered a minor sell-off by pledge-holders. Almost 60 basis points of promoter stake sale was sold by pledge-holders that day, he said, with lenders assuring the group on Sunday that no further pledged shares would be sold on the bourses. "The lender moratorium extends beyond April 2019," Goenka said. "And we are open to discussing all possibilities with lenders as far as the sale of infra assets and Zee promoter stake sale process goes." The Essel group has put three infrastructure assets on the block to pay off its loans, while it is looking to complete sale of part of its promoter holding in Zee by April 2019. 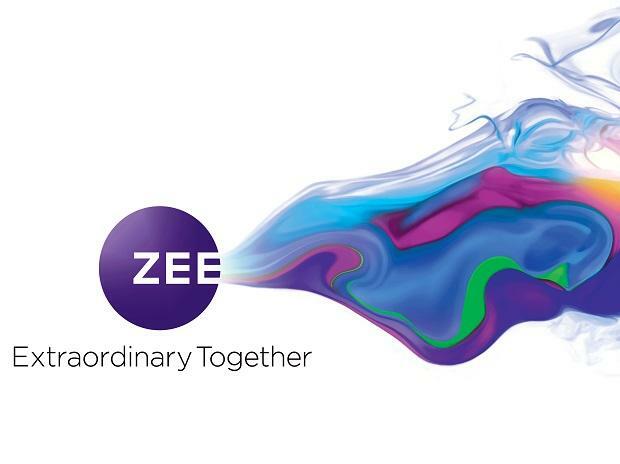 On Friday, Goenka had said that Zee was talking to multiple potential partners, which he reiterated on Monday, adding that the option to tie up with the best player was with the company. The sale would be based on who gave the company the best terms, he said, and that recent developments would not affect the sale process. However, Abneesh Roy, senior vice-president (research), institutional equities, Edelweiss, said Zee’s bargaining power could be impacted in the wake of Friday’s fall. “We do not expect it to be a distress sale, but there could be some impact at the negotiating table for Zee,” he said.